Google has a user-centric approach toward every business always. It aims to provide the users with the best experience and it has, all these years, uncompromisingly served to achieve that goal. Regardless of how big your business is, if it does not appeal to the users for any reason, Google will never rank your website at the top of its Search Engine Results Pages (SERPs). 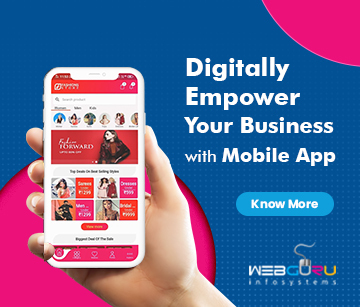 All its algorithms and updates have rolled out time and again to enhance user experience in terms of content relevance, quality and mobile-responsiveness. In fact, the loading speed of a website on mobile devices has become one of the most important criterion to rank it on the SERPs. So, do you know where your website stands with respect to loading speed? Before we get to that,let us discuss the importance of page loading speed for user experience. Last year, the number of mobile searches outgrew the desktop search number in 10 countries. Hence, there is not a speck of doubt that mobile responsiveness is a vital requirement of any website today. Similarly, page loading speed is crucial as most people are using their Smartphones to browse your website. If the loading speed is more than 4 seconds, they are likely to leave right away and go elsewhere, probably to your competitor. 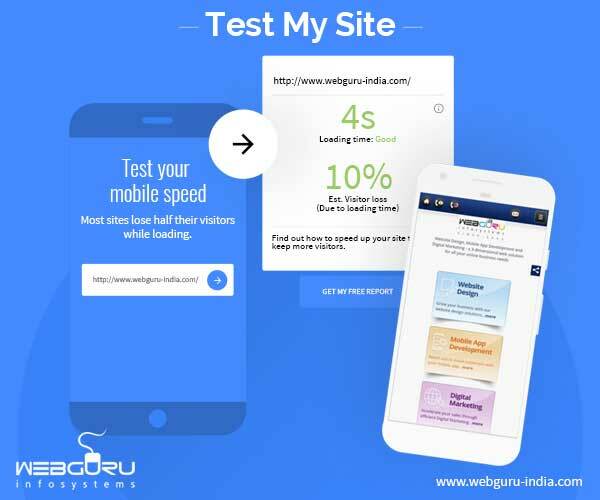 To combat this problem, Google released its “Test My Site” tool in 2016 to help you know where you stand with respect to page loading speed on mobile devices. You can evaluate your website’s status easily with respect to its mobile loading speed on a regular 3G handset. Google chose 3G as it is the average mobile speed in most countries across the globe. Let us now shed some idea on how this update is going to benefit the website owners. Website Speed Evaluation: You can evaluate your website’s status easily with respect to its mobile loading speed. It is a crucial aspect of your website’s success that you cannot ignore at any cost. Google’s Test My Site Tool makes the process a breeze. Loss Of Visitors Calculation: You will also get a count of the visitors you are losing because of loading speed issues. The Test My Site tool helps you know whether your page loading speed is responsible for the increase in the loss of visitors. Not only that but also it provides you with some suggestions to mend the situation. Website Position In The Industry: The Test My Site tool gives you a rough idea of where your website stands in the industry you serve. Thus, it helps you enhance existing strategies to increase your position. Personalized Suggestions: At the end of each test, the tool gives you an option whether you wish to get further suggestions or development quick fixes in your mailbox. If you are willing, you get your hands on information that may help you fix the issues and enhance your website’s performance. Now that you know how to address the mobile speed issue on your website, get your developers ready to make it work. 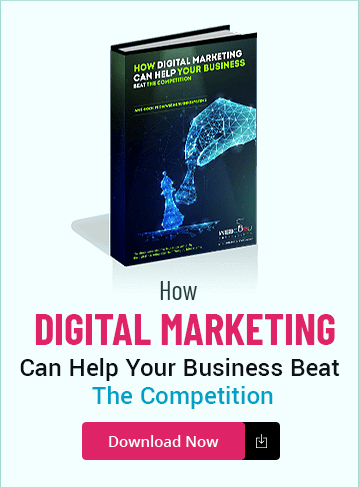 Then, you can select a digital marketing agency to take your website higher on the SERPs and, maintain the position once it does. But before that, you need to take care of these primary developmental issues that the Test My Site can help you with. No, you do not need any technical expertise to use it. All you have to do is put your website’s URL in the tab and click on the “Arrow” sign. The tool will do the rest automatically. It is always best to use it just after launching your site so that you can gain an idea of how it is going to perform. So, use Google’s Test My Site tool and, see how good your website is, with respect to mobile loading speed. Make your website easily visible to a global audience. P.S. – The tool is mobile-friendly, i.e. you can check the speed of your website on your mobile device as well. Nice Blog. Very Informative. Thanks! Amazing Article, as I also have my website so i always in search of these type of article which clearly specifies me about the Google test on my website. This article is really very helpful as i found some more interesting information about google site checking. 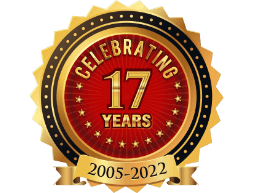 Thanks for providing this information about web development company. Such an informative post. Thanks for sharing.